Located on Dexter Drive and first known as Dexter Park, it was renamed Brison Park in 1980 in honor of Fred Brison. Brison served as Mayor Pro Tem of College Station from 1971-1974 and was a faculty member of Texas A&M’s Department of Horticultural Sciences for 43 years. Brison Park is a beautifully wooded green space with a 1/3-mile nature trail and a seasonal stream. Located around the perimeter of the park are lamp posts and individual markers dedicated to each of the 12 victims of the 1999 Texas Aggie Bonfire collapse. Parks and Recreation became a city department in 1971 and has grown into one of only five nationally accredited municipal parks agencies in Texas with 63 full-time employees and numerous part-time, seasonal staff. Our parks feature 41 miles of trails, three swimming pools, 17 athletic fields, two recreation centers, the Ringer Library, a skate park, the Wolf Pen Creek Amphitheater and festival grounds and two cemeteries. We also offer summer camps, athletic leagues and tournaments, athletic tourism, special events, community education, and senior and afterschool programs. Double Arch Swing at Bee Creek Park : The wide seating area made of durable steel with a soft rubber bumper accommodates up to five children. Climb and Discover Cave at Bee Creek Park: Discovery elements on interior walls include mushrooms, turtle, leaves, animal tracks, ant hill, salamander, rat, ants, iguana, bird with nest, inch worm and lady bug. “S” Wall Climber at Parkway Park: This four-foot freestanding rock wall allows for climbing on both sides. Since 1985, America has celebrated July as the nation’s official Park and Recreation Month. 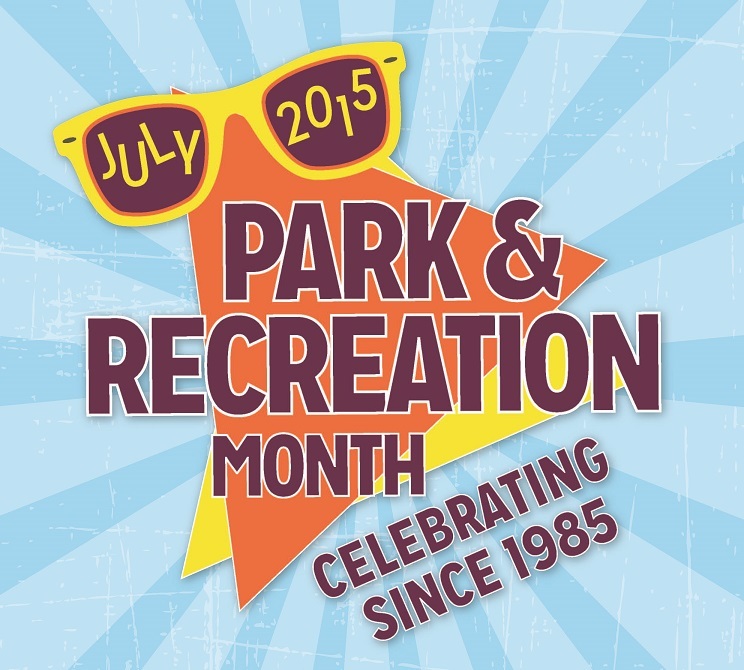 In 2009, the U.S. House of Representatives officially mandated July as Park and Recreation Month. This year will also mark the 50th anniversary of the formation of the National Recreation and Park Association. NPRA’s mission is to advance parks, recreation and environmental conservation efforts that enhance the quality of life for all people. Celebrate Park and Recreation Month with us by discovering a new park, enjoying your favorite park or by participating in one of our recreational activities. For more information, go to cstx.gov/parks or contact us at parks@cstx.gov or 979-764-3486. This entry was posted on July 14, 2015 by City of College Station. It was filed under Parks and Recreation and was tagged with Parks and Recreation, Parks and Recreation Month.